There is a significant difference between economics and finance. To understand the differences we must understand each of the categories and learn their fundamental principles. Finance is a fund management science. There are three general areas of finance : business finance, public finance and personal finance. The basic principle of finance is saving money and lending money. These operations are accomplished with the help of financial institutions. The science of finance deals with the interrelation of the concepts of time, risk and money. Economics is a social science. The science of economics studies the production, consumption and distribution of services or goods. The science of economics is trying to explain how economies work and how do different economies interact. The analysis of the science of economics is applied in various fields like finance, business, government, education, law, politics, social institutions, science and many more. The main difference between economics and finance is that finance focuses entirely on the maximization of wealth. On contrary to the finance, economics focuses on the optimization of valued goals. If we understand the facts this way we can say that finance is a subset of economics. Finance is focusing on the management of money and assets. Financial courses are teaching how asset market works and economics courses are teaching optimization rather than focusing. The terms of finance and economics are often used in everyday speak and press interchangeably. The best words for describing these sciences would be socio economics and socio finance. The word socio would describe the social aspects of the problem. Using only the basics from both economics and finance, we can say that finance is the study of the financial markets. The financial markets are coordinating the interests of the lenders and borrowers that are doing business in the market. The study of economics is more the study of the goods and services which are circulating in the same market. Personal finance ‘“ the personal finance revolves around the finance of an individual or a family. The main questions of personal finance are about the amount, origin, security and taxation of the money needed for the specific individual or family for their survival. Corporate finance ‘“ corporate finance is a process of providing the necessary funds essential for the activities of the corporation. State finance ‘“ the financial activities of a country, state or city are called state finances or public finance. Microeconomics : microeconomics studies interactions between individual markets. Beside the markets, microeconomics is focusing on specialization and supply and demand relations. Macroeconomics : macroeconomics is targeting the same objects like microeconomics just on a larger scale. It is not focusing on single, individual markets but on large, national variables. These variables can be national income and output, price inflation and unemployment rate. Finance and Economics related books. lancetana. "Difference Between Economics and Finance." DifferenceBetween.net. 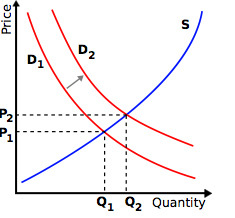 September 6, 2011 < http://www.differencebetween.net/business/difference-between-economics-and-finance/ >. I’m taking Finance for my bachelor’s degree in business association and was asked what would I invest(financially) in if I had $10,000? I have no idea about this stuff and could use helpful ideas, imput, or websites to help me. Thank you to whoever helps me and have a great day! I hear stiff competition in scratch tickets has pushed returns up to about three cents on the dollar. That could be a sound investment. Remember to diversify though. You want to split your investment between power-ball, mega-millions, and cash windfall fairly evenly. I hope that helps with your assignment. Really a good writing. Thanks to the author. economics is how money affects the whole society rather than a corporation or an individual.it also teaches us resourcefulness rather than maximization at any cost.the prognostication of an economists surpasses the ability of a finance director.hence,i believe that economics is a more complete subject.